.. the song is a tribute to Sufi Saint, Sen Ahmedi Mahmudu Muhammedsin Efendim, may God sanctify his Sirr. Peter John Murphy (born 11 July 1957, near Northampton, England), is the vocalist of the rock group Bauhaus who later went on to release a number of solo albums, such as Deep and Love Hysteria. Thin, with prominent cheekbones, a rich voice, and a penchant for gloomy poetics, Murphy is often called the "Godfather of Goth." Although he had grown up in an Irish-Catholic household, Murphy embraced Islam in the 1990s, eventually moving to Turkey with his wife. A subsequent Middle Eastern influence can be heard in his later albums. In particular, Murphy has been inspired by the mysticism of Sufism. 1992's Holy Smoke mixed some traditional Turkish influences into the music while continuing the sound pioneered on Deep. He is well known in Sufi circles in turkey where he lives with his wife Behyan. The bio section of Peter Murphy starts like this: "I don't care that you know nothing about me, he said, I'd rather have someone write about me who knows nothing, because I'm sick of these biographies that just repeat the same old simple things, and that attatch me to the same old simple past, and that repeat the same old half-truths about who I am and what I do...."
Mercan Dede, who is an international musician from Turkey and who is deeply inspired by sufi path had a great influence in Peter Murphy's life. "In one of the interviews he says, Isn't it interesting that with Dust a listener might have discovered that I had 'found a new way of writing through Turkish and Sufi music'. Sufism is not something that can be conveyed didactically, and in my experience cannot be framed by one particular traditional style or mode. I have often replied to the question of when I would make my Turkish album, to the effect that: since I met my wife back in 1982 my subsequent albums were more Turkish than anything else (except of course they were Peter Murphy first and foremost ;-/ ) and definitely since living here or since Cascade they've all been Turkish albums. Whether they are 'Sufi' or not ?::. well God only knows. All songs that I write are very deep thingy's as far as I'm concerned, whether it be black, white, blue, red, pink, (Kiss Myself :) ) or colorless (e.g. Your Face). Formats are not to be worried about here, beautiful 'accident' rather than 'occident', and following the natural end that a song wants to go." 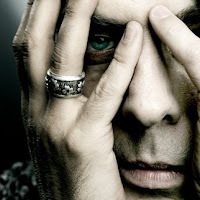 On his song Face the Moon, Peter Murphy describe the background: "There's a tradition here in Turkey that the Moon is the reflector of Allah / God's light, which in itself is impossible to be looked at directly due to it 's incredible radiance. The moon an analogy for the vehicle of Holy Light (In Islamic culture the moon another name for the Prophet Muhammad, peace be upon him, so anyway... the Turks say the if you look at the face of a person who has just looked at the moon light then you will be seeing the Muhamediean / holy light on them. So with that in mind, I was driving with a friend in LA when I notice the full moon . I asked her to look at the moon then look at me. She did what 'd asked her, and remarked, "oh yeah.... you know I forgot that I was sitting in the car with The Father of Goth himself, it's really weird to be with you on the full moon" :))) ... can you believe that? Am I misunderstood or am I not?" (When moving to Turkey about 10 years back) "I thought my god we're going to a mystic land and there the word mystic is a misnomer - there's no such word mystic, there's just the reality of God which is in the marketplace... That's what really attracting me to the Islamic cosmology. It's not an Arabic-exclusive reality - it's the raison d'etre that manifests in all creation,"
"Religions has had a bad name for 2002 years now. Jesus has had really bad P.R. for a long time. The prophet Muhammed revered Jesus and confirmed him as the messiah and his brother," said Murphy who further explained that when Jesus described the one who will come after me, which Christians interpret as the Holy Spirit, Muslims interpret as Muhammad in that Jesus was prophesizing about Muhammad. He confirmed once again the absurdity of wars between Christians, Muslims and Jews considering they all worship the same god only with different variations, ..."
"Turkey is a miasma of paradox and contradictions. It can at one moment drive you to frustration (only in the first five years here) and in the next, a feeling of appreciation to be out of the western mind set. Though as I say that, I have to say to any reader not familiar with Turkey, that it is NOT Iraq, Afghanistan or like any other middle eastern country. It has the most forward looking metropolitan community, as 'western' as any, and a so called 'undeveloped ' populace that are so developed as human beings that they stand as a beacon of light and a living alternative to the hypnosis of materialism prevalent at home. And no, Turkey and Turkish people are not terrorists, do not want war on the West, and I have a feeling that in the future, Turkey will be the most important country in the world, representing a cultural bridge between the Islamaphobic unchristian - Christian west and the out of control unislamic- Islamic Middle east. To me, Islam isn't restricted to a particular culture. I've approached it throught Sufism, so I don't have the same cultural biases that a Middle Easterner would. I'm in a position to be watching and evaluating from both sides of the camp. It's a tragedy for the world, which transcends Islam and East-West. It's a scary thing that any society has its own polarized factions which become radicalized to the point where they're blind to their own culture. The religion is being used in the same way that, say, Jerry Falwell would use. It's just an expression of hate rather than religion; it's about rage, power, minorities, wealth, and it's been going on for thousands of years. The essential message in all religions is peace, surrender and tolerance, and this relates to the spiritual aspect of all people. I hope there will be some good that comes out of the evil, in that we're going to have to look at the global village on a much more profound level. I hope that'll evolved into something worthwhile.